Creating your perfect environment reveals your passions and personality. Browse American Olean's products and watch the big picture emerge. From field tile to decorative accents in our distinctive color palettes. At Mannington Mills, we are committed to providing our customers with the highest quality flooring and best service in the industry. Mohawk Industries is one of the world's largest floor covering manufacturers and distributors and is a leading producer of yarn, ceramic tile, area rugs and bath mats. Headquartered in Calhoun, Georgia. Shaw is a leading manufacturer of a wide variety of flooring. Top quality carpet, area rugs, ceramic tile, hardwoods, and laminate flooring in an array of colors and styles. Cali Bamboo’s mission is to make a difference today for a more sustainable future tomorrow, specifically through the promotion of green building materials as beautiful, durable, viable alternatives to traditional products. By making our own next-generation fiber in our modern facilities, we never compromise on quality. Plus, we’re able to consistently deliver outstanding carpet and value to our customers. 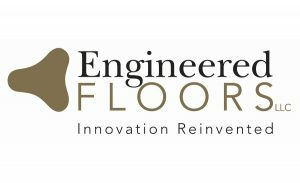 Engineered Floors is a proud producer of Dream Weaver carpet. American Carpet Group is a family owned company. 99% of the customers, to which American Carpet Group provides carpet solutions, are likewise, family owned businesses. American Carpet Group prides itself in partnering with our customers and treating them as family. We treat our customers like we will see them every Sunday night at the dinner table. This relationship makes our customers' issues our issues and our customers' success our success. No one is ignored, everyone is heard. Tarkett is a worldwide leader in flooring and sports surfaces serving architects, contractors, facility professionals, distributors, retailers to meet individual tastes and functional needs.